An impressionable college student from the Midwest attended the 1979 Urbana Mission Convention, and that student was me. I was fortunate to have a talk at the convention with the Rev. 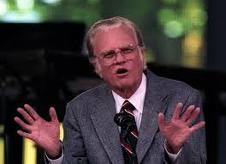 Billy Graham in which he looked directly at me and uttered these words, and I paraphrase: The scriptural pattern for God’s servants has two directions–coming and going. First we come to God in prayer and worship, and then we go out from God in witness to a fallen world. . .
“Come. Go. Come! GO!! COME!!! GOOOOH,” he thundered. Sure, maybe the other 16,624 delegates in the auditorium overheard our conversation, which I admit was rather one-sided, Mr. Graham being at the podium and I in row 103. No matter. I say he was talking to me. Friends, will you join me in this pattern of “coming and going,” this week? Will you make time for prayer and worship, and then will you share the message of God’s love with at least one other person? Kate, let's keep it going! I've heard from quite a few other people via email that they are moving on this.